Many people are ripping up their carpet and replacing it with hard surface flooring. One of the most popular replacements is tile. Carpet is being torn out and tile is being put in because it is believed to be one of the toughest flooring materials available. 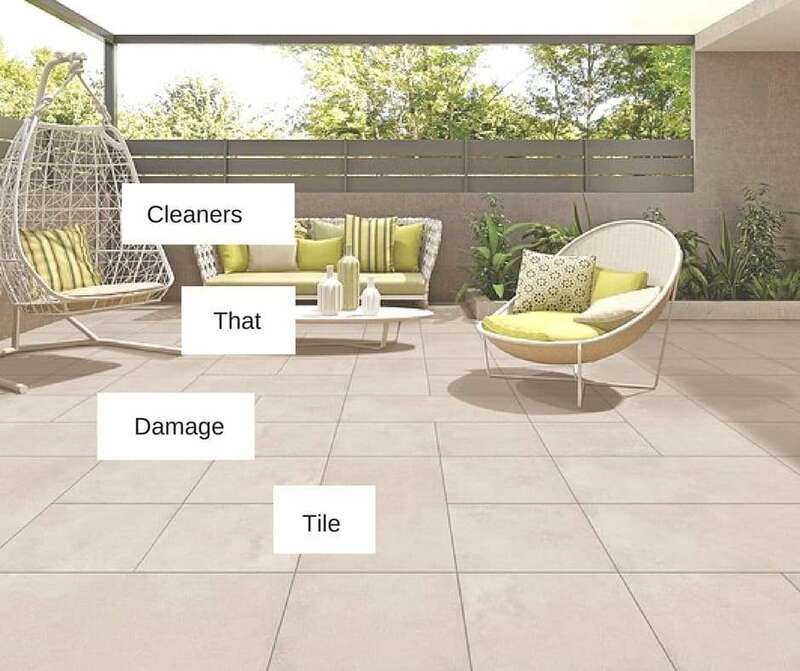 While tile is pretty tough and a good option for homes that need low maintenance flooring that can take a beating, the wrong cleaner can do some significant damage. These would be any cleaner with a gritty abrasive texture. Many tiles come with a sealant or a sealant is applied after installation to keep dirt and debris from settling deep into the tile pores where it cant be removed. Abrasive gritty cleaners (and cleaning tools) can scratch up this protective coating and render it useless as a protective barrier to keep dirt out of pores. Surprisingly there are a large number of grout cleaners that contain these ingredients with promises of getting out even the toughest of stains. With prolonged use these items can discolor the surface of the tiles and the grout as well. Oil-based cleaners are popular because they give a floor a nice shiny glow.This is a great feature, but it is not the best option to clean a tile floor with. The oils soak into the grout and attract dirt and debris creating an even bigger mess than before the floor was cleaned. These cleaners also create a slippery surface that can cause falls and injury. The best way to keep your tile floor clean is actually with a simple green cleaning solution you can make on your own. Simply mix vinegar with mild hand washing dish soap and warm water. You will want to keep a bucket of clean water or mop head with just water to rinse your floors after cleaning. The best thing you can do to prevent deep dirt and grime build up in your tile and grout is a yearly professional tile and grout cleaning and sealing. Read More Hardwood Floors or the Wood Look Tile? For more tile care and cleaning tips please feel free to browse our blog. For the best professional tile and grout cleaning make an appointment online with All Kleen today.